Categories: Lenses, Sigma, RENTALS, STILLS, LENSES, VIDEO. 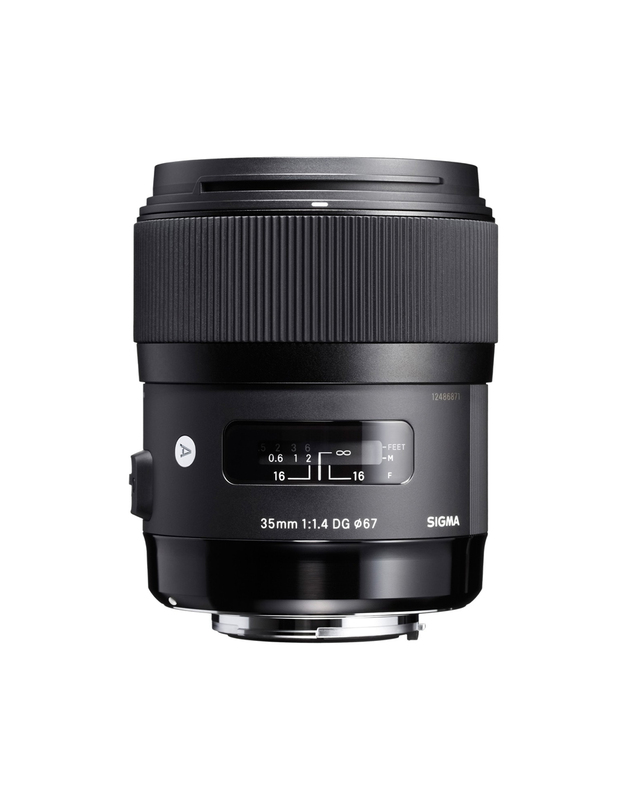 The Sigma 35mm 1.4 DG HSM is a state of the art lens designed for full frame cameras but can also be used with APS-C sensors as well. 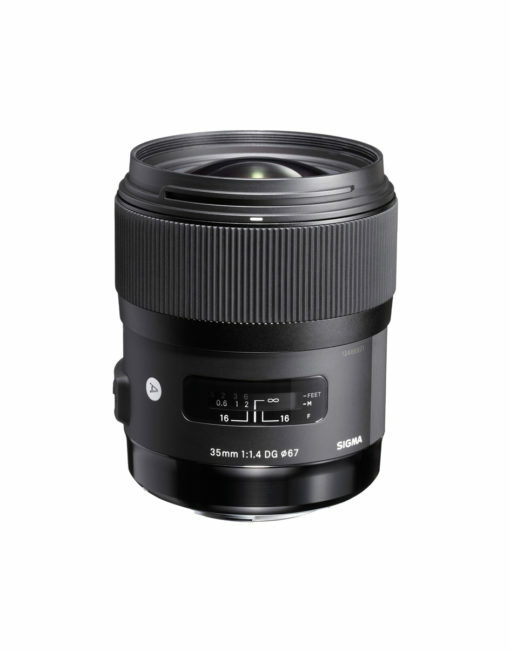 The first addition to the Art category in Sigma’s Global Vision, the 35mm 1.4 DG HSM includes new features based around a unique lens concept and design. The 35mm is a staple focal length in the world of photography, and paired with Sigma technology, this lens can take artistic expression to the next level. The lens is equipped with technology including a Hyper Sonic Motor (HSM), floating internal focusing system, SLD and FLD Glass elements. The HSM ensures quiet, high speed, accurate autofocusing while the floating focusing system allows for superior optical performance with subjects at a closer shooting distance. The SLD glass elements along with the FLD glass elements, which are equal to fluorite, help correct both axial and chromatic aberration. The large 1.4 aperture make it ideal in low light and the lens is compatible with the Sigma USB dock and Optimization Pro software to adjust and fine tune focusing parameters. The Sigma 35mm 1.4 DG HSM is a must have for any camera bag. I would like to be included in the SunshineCo mailing list. Where can I purchase this product?